Terra Firma Textiles II will be available Spring 2019. 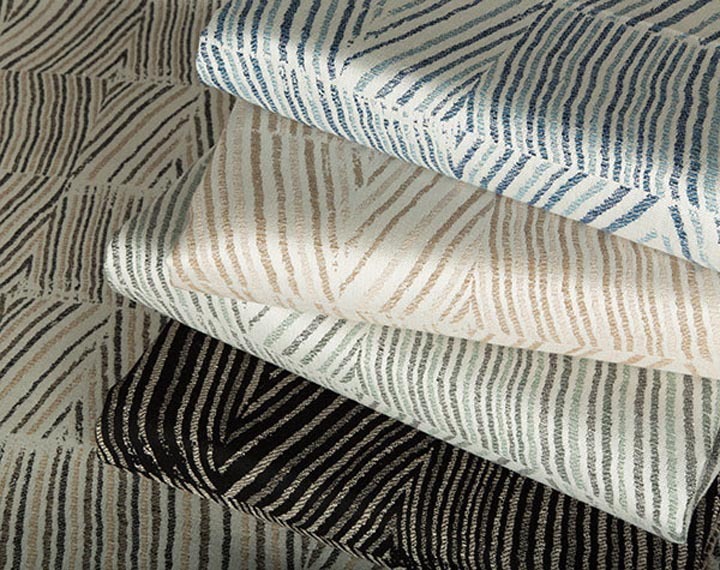 Groundworks at Lee Jofa introduced a second indoor/outdoor collection of fabric with renowned designer Kelly Wearstler: Terra Firma Textiles II. Building off the success of Wearstler's past collections, this assortment of prints and weaves continues to tell the story of the designer's trademark style of inventive textiles, many of which are inspired by her collections of vintage fashion and original artwork. 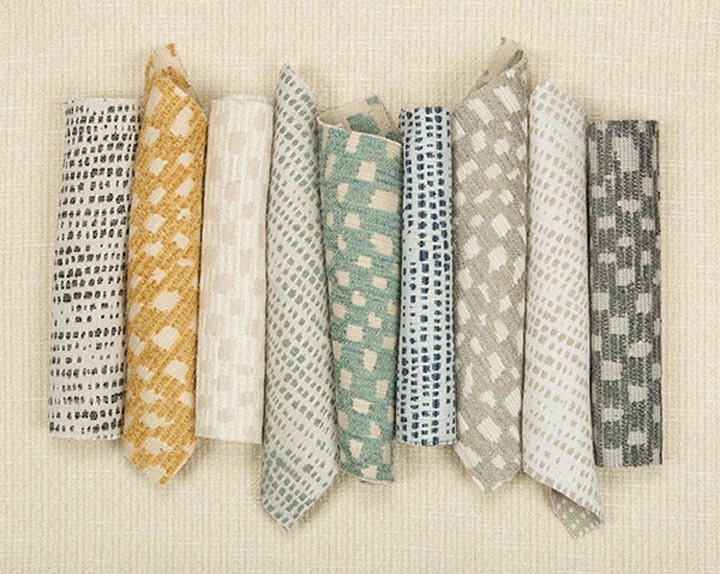 Terra Firma Textiles II fabrics feature performance qualities, including Sunbrella acrylic yarn constructions, making the fabrics durable and equipped to withstand the elements both inside and outside the home — a true reflection of the aptly named collection of sturdy and stylish textiles. "With this collection I wanted to evoke the unaffected luxury and organic beauty found in nature in a singular array of patterns, colors and textures," says Wearstler. "Bringing a sense of sophistication and richness to the outdoors is signature to this collection." The fabrics have performance qualities, enabling them to withstand both indoor and outdoor elements. A distinctive wallpaper design reimagined as a jacquard woven, the contemporary pattern of Crescent Weave features painterly brushstrokes that bring a dynamic approach to an outdoor space. Other patterns like Wade transcend expectations for typical performance fabrics with its soft texture and rhythmic graphic design. Many of the textiles are inspired by Wearstler's collections of vintage fashion and original artwork. Inspired by a vintage textile from Wearstler's personal collection, Bandeau displays a linear pattern with a geometric twist. A modern large-scale print, this fabric gives a nod to suiting fabric of the past. Add a swift strike of boldness to the outdoors with Zenith, an oversized diagonal stripe that adds dimension for a truly modern moment. Post Weave is a reinterpretation of Wearstler favorite velvet in a robust jacquard. 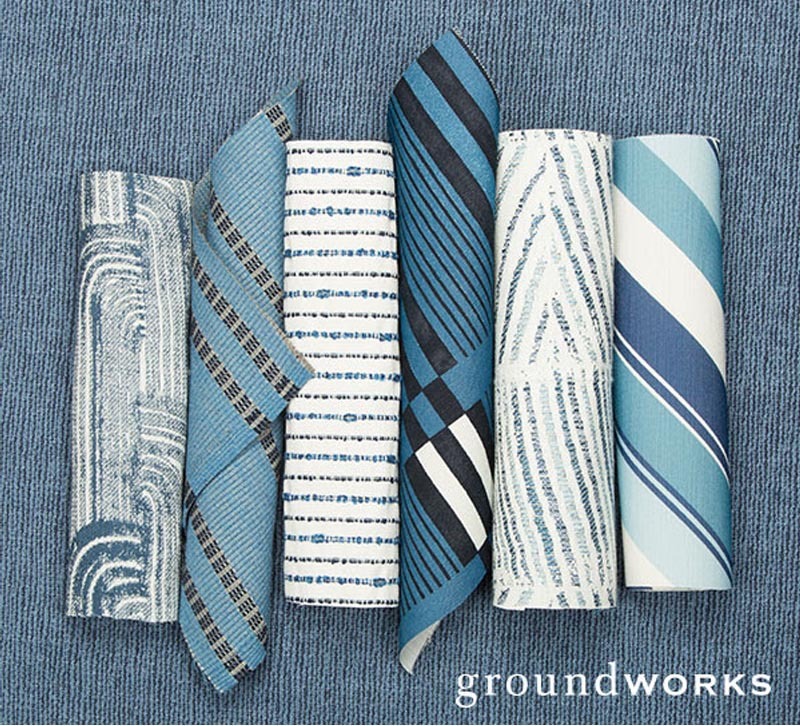 The woodsy multi-tonal fabric celebrates the outdoors in a truly modern way with its five distinct color stories. Post Weave (left) and Crescent Weave (right) offer robust color options for outdoor spaces. Plush to the touch, Playa is an elevated performance fabric — both in style and texture. In three sophisticated colors, this woven acrylic chenille will please the hand while being durable under the elements. Wearstler also presents her unique interpretation of an all-over dot, Constellate, offering a playful touch that works well as upholstery or pillows. "Indoor/outdoor living is so much of what the modern California lifestyle is about," says Wearstler. "The natural beauty of Southern California was a real source of inspiration for this line." The line incorporates a palette of soft neutrals mixed with blues, greens, charcoal and touches of gold. The many elements of nature are translated into a stylish assortment of patterns suited for sophisticated interiors and exteriors alike. 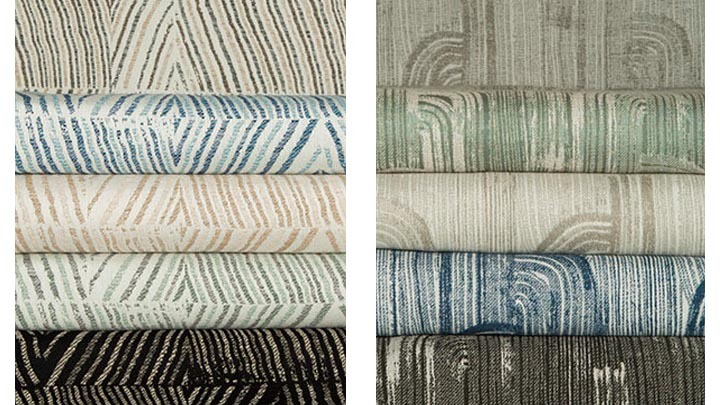 Rooted in organic beauty, Terra Firma Textiles II incorporates a beautiful palette of soft neutrals, like ivory, sand and stone, mixed with calming blues, misty greens and deep charcoal, with touches of gold that together celebrate the spirit of the California landscape. 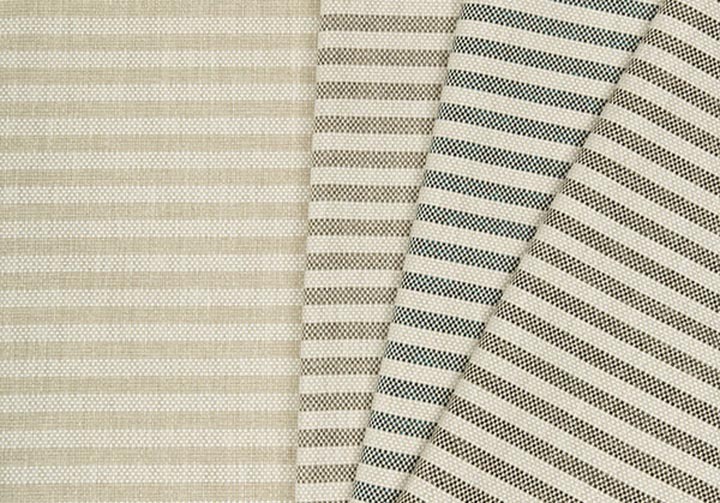 Terra Firma Textiles II will be available Spring 2019 at Lee Jofa showrooms and through the Lee Jofa network of licensed representatives.